Introducing to the market distinguished performance products for the health and beauty of skin. BAP Medical stands for Best Available Practices in wound care. This means that BAP is always looking for new products that can enhance comfort and safety for the doctors and the cosmetic and medical result for patients. In this context BAP Medical distributes its own products as well as third-party products. Everything is judged for practical usefulness for doctors and for patients. The BAP Medical logo consists of a circle and a wave representing the life cycle of a patient in wound care. The wave makes the connection between the three steps in total wound care. Diagnosis of the wound, closure of the wound and aftercare. Humeca was founded in 1981. In 1984 Humeca started a cooperation with surgeons of the Red Cross Hospital in Beverwijk, The Netherlands. The goal was to re-introduce the MEEK technique for skin transplantation in burn surgery. This method was presented by two Americans (surgeon Dr. MEEK and technician Mr. Wall) in 1958 already, but the technique was too complicated and vanished away after a few years. In 1993 a modified MEEK technique was introduced and Humeca's activities concentrated on production, development and sales. Humeca is an ISO 13485:2003 certified company. Sylphar is a Belgiam leading fully integrated developer and marketer of oral care products, dental pharmaceuticals, and the innovative Remescar. 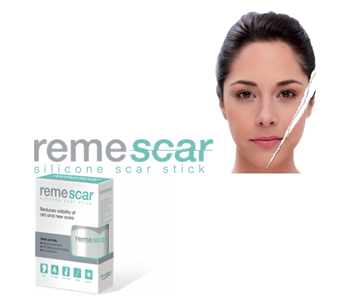 Remescar is an easy to use silicone stick designed for scar care. Remescar releases a transparent, thin and silicone base film which creates an ideal healing protective barrier. This helps to maintain the skin’s moisture balance, while aiding the healing of scar tissues resulting from surgery, burns, injuries, acne and stretch marks. Use Remescar to reduce a scar’s length and height, to soften and flatten the scar tissues, to restore the skin to a more normal color and texture and to relieve burning, tingling and itching sensations. Principelle is offering advanced quality products, novel ideas, or different approaches aimed to accomplish something in a more effective or efficient way. Principelle has learned that to make a difference one needs a different way of thinking. Representing someone or something, trading a product across different lands, adding quality and create value, bridging differences in background and culture, these are all dependent on a willingness to meet, communicate and understand others. In principle we do so from a sovereign position.